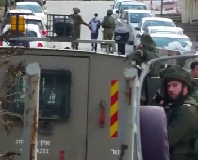 An Israeli army spokesman said the two women “were known to have been involved in illegal riots that interfered with Israeli security operations,” apparently in reference to the protests against the barrier. Both in their 20s, the women were activists with the pro-Palestinian International Solidarity Movement (ISM), established in 2001 to mobilize international support for Palestinian activism against Israeli occupation. “They were arrested in Ramallah on the grounds of staying in Israel illegally,” the military spokesman said, in apparent reference to tourist visas they received on entering Israel, which controls access to the occupied West Bank. 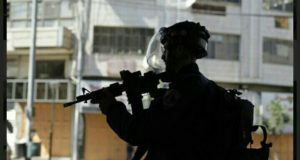 Palestinian and international activists say Israel, apparently concerned about plans for wider demonstrations, has stepped up a campaign of arrests against protest organizers in the last two months. 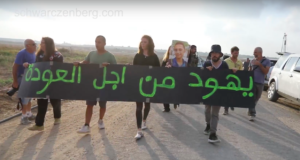 The Israeli authorities deported a leading ISM activist last month, the organization said. Eva Novakova, from the Czech Republic, had also been arrested in Ramallah. Protesters stage weekly demonstrations in various Palestinian villages against Israel’s construction of West Bank walls and fences that have denied them access to their land. Israel says the barrier, which the World Court has deemed illegal over its construction in occupied land, has stopped suicide bombers in the past and can be removed in the future if the security situation improves.